I am "over the moon" excited about my new blog design created by seven thirty three! Check out my new pages and social icons. 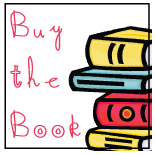 A new feature on my blog is going to be "buy the book." These posts will be about book recommendations for your classroom sprinkled with some activity ideas and freebies. So here is my first "buy the book" with a freebie and giveaway. This School Year Will Be the BEST! is a fun story about sharing your hopes and wishes for the new school year. To win a copy of this book leave me a comment about a book that you use to start your school year or a comment saying that you have added my new button to your blog. (click on my the button icon to grab my button code) A winner will be picked at random at on August 11th in celebration of the start of my new school year. Love your new look!! I always start my year off with Chicka Chicka Boom Boom. Personally, I LOVE this book!!! I love the idea of using this as a lit connection for those beginning of the year hopes and dreams discussion. A book that I love to read at the beginning of the year is We Share Everything by Robert Munsch. I LOVE your new blog design!!!!!!! and thanks for the cute download! We begin the year with an ocean unit. There are so many fun ocean books centered around friendship and social skills for this unit. My favorite book to use is the Pout Pout Fish. I had the perfect student for this book last year. Thanks for sharing the download. . cute!! I always begin the year with the Kissing Hand. We then go on a Chester Hunt, in which we take go on a tour of the school while looking for our favorite racoon! Love the new blog design! I love to read The !Night Before Kindergarten, Owen, and We Share Everything. Have a great school year! Just found your blog and love it!! One of my fave books to use at the beginning of the year is Recess Queen. The kids love it! Love to start the year off with Miss Bindergarten! First Day Jitters is one of my favorite books to start the year. The children always love the "twist" at the end! I always use First Day Jitters and last year teaching Kindergarten I also used The Kissing Hands and The Gingerbread Man to explore the school! First Day Jitters and the Kissing Hand are favorites. I also start the 1st day of school with First Day Jitters. It is just such a cute book which tells it how it really is! I always use The Kissing Hand and Miss Bindergarten Gets Ready for Kindergarten! Love these books!! I added your button to my blog! I love your blog design. I read This is the Teacher by Rhonda Gowler Greene, so they can get an idea that we will have adventures together. It is funny too. I'm not sure which one to use first. I love The Kissing Hand and First Day Jitters. I'm also open to something new! The last two years, I read "Llama Llama Misses Mama" on the first day of school. It works out really well becuase 1) I can be dramatic (like the Llama) while reading and that holds my new learners' attention, 2) Llama colors a picture of someone he loves (his Mama) and that is a simple thing for the kids to do after reading the story, and 3) Llama carries around his stuffed animal in the book, so I also offer the kids a basket of stuffed animals to hold if they are feeling lonely or nervous or scared. I love to read "The Night Before First Grade!" It's a really cute book and discusses what you do the night before to prepare for school. I always use the Kissing Hand with my kindergartners. It is a book that I can springboard with many activities about leaving families, etc! Thanks for sharing about this book. I was not aware of it! I love to use the Kissing Hand with my kids and do activities with it. They always enjoy it! There are so many wonderful back to school books out there! I always use the same ones, Chrysanthemum & Owen by Kevin Henkes, First Day Jitters and The Night Before First Grade. Maybe this year I'll change it up a bit! I will be trying out the two Pete the Cat books this year. I have found so many great resources to go with these books from awesome bloggers out there! I also like to do Chicka Chicka Boom Boom! I always start with My School's a Zoo! It's great for teaching school rules in a fun way! =) Love your blog! Thanks for sharing your awesome stuff! I start the year off with the Kissing Hand and also read Miss Bindergarten gets ready for Kindergarten. The parents send in a note for their child and also hand prints that become the first page in our memory book. Hi! I like to start the year off with First Day Jitters. Then, I typically try to pick a story that matches my theme. Examples: Rainbow Fish (ocean theme) and afterwards, we talked about friendship, sharing, class rules, and of course, made our own rainbow fish. I also did Chicka Chicka and talked about sharing, playground rules, and made a tree:) This year, I am doing a monster theme...so far, I have Go Away Big, Green Monster...hmmmmm??? I found a new book this year that fits in nicely with our kindergaren "super heroes" theme. It's called Adventure Annie. I have used Miss Bindergarten and The Night Before Kindergarten the past two years but am going to try Kissing Hands and The Gingerbread Man to take them on a tour of their school. Love your site! I like to read Miss Bindergarten on the first day. Also, First Day Jitters is a good one too. Great ideas! Thanks for sharing. No blogging for me...how do you do it? I start the year with a Kevin Henkes unit. The first day is Wemberly Worried-we write down our silly worries. Day 2 is Chrysanthemum, and we do a small study on our name (how we got it-the story behind it) as well as address bullying and feelings. Lastly, we read Lily's Purple Plastic Purse and write about/discuss things that we aren't proud of. We complete a Venn diagram and discuss the similarities and differences in the books and characters. I'm so glad my son is in your room! Love your blog! I like to read The Kissing Hand.